Happy Fall from Hutchins! Just a brief note to inform you of some upcoming events that may be of interest. On Sunday, September 23rd, Verrill Farm will be hosting the 11th annual Stone Soup Dinner. Cocktail hour begins at 4pm with local restaurant tastings beginning at 5pm. Hutchins Farm again will be participating providing some of the produce, and we’ll be there to hang out and chat. Tickets are available for $40 at Hutchins Farm, Verrill Farm, Marshall Farm, the Concord Cheese Shop, and Barrett’s Mill Farm. Cash or check only. www.stonesoupconcord.com for more information. 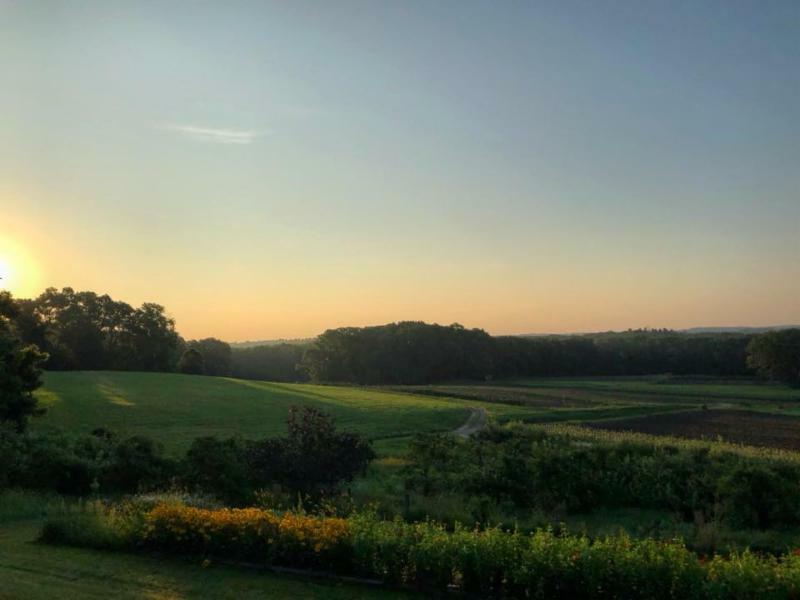 Then on Sunday, September 30th, Bondir Restaurant of Cambridge will be closing out its Summer Series of events with a dinner highlighting Hutchins Farm produce. We’ll be there too, so please come join us for dinner! Reservations are from 5pm-10pm – dinner is prix fixe at $68 per person, with an optional $42 wine pairing. Call 617-661-0009 or make reservations online: www.bondircambridge.com – give them a call for any questions about dietary restrictions/accommodations etc. Both of these events are celebrations of the local, the specific, the place and the moment that we are in right now, never to be repeated except in memory. Each summer is singular, a unique unfolding pageant of energy, color, music and flavor-like the dishes created by chefs inspired by that pageant, singular creations, unrepeatable. And yet in some sense they are all the same, each summer unfolding to a similar rhythm, a recognizable theme with infinite variation, each dish an elaboration and reconfiguration of the same familiar ingredients. The participants are your friends and neighbors, the people who live where you live, celebrating this confluence of the particular and the universal in the most delicious and enjoyable way possible, by eating good food, produced and prepared locally and lovingly. Hope you can join us!